When medical marijuana laws first passed in Arizona, everyone who had their doctor’s approval for a medical marijuana card could grow. That was only because dispensaries had yet to be opened. But now, only those who don’t live within 25 miles of a dispensary are allowed to grow, something two men unsuccessfully contested in court. According to the Daily Chronic, the two men who challenged the provision said that the limit of 25 miles was a violation of their health care rights. Trial judge Katherine Cooper disagreed but left the door open for them to challenge on different grounds. Most of the state’s roughly 40,000 registered medical marijuana users live within 25 miles of a dispensary. If they do, they cannot legally grow their own medicine. But the two men who took the issue to court didn’t want to stop growing once the dispensaries began popping up. The law allows for those medical marijuana users to purchase and possess up to 2.5 ounces of marijuana every two weeks. 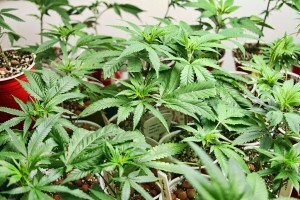 If they are further than 25 miles from a dispensary, they can grow up to 12 plants at any single time. But, she added, the men might make a claim that the 25-mile rule violates their constitutional right to equal protection under the law. They haven’t made a case for that claim yet. As marijuana laws change across the country, many people see any progress as a sign of legalization. While medical marijuana laws and marijuana decriminalization are things to celebrate, to be sure, they don’t make marijuana free for all and free of regulations. On the contrary, you can still be arrested, prosecuted, and go to prison on serious marijuana charges. Even in states where recreational pot is legalized, people are still being charged with marijuana offenses. Here in the state of Arizona, you could face felony charges for possession of marijuana. If you intend to sell it or grow it, the penalties are even worse. We are making progress towards less restrictive marijuana penalties, where taxpayers won’t be forced to foot the bill on a losing drug war. But in the meantime, you still have to play by the rules or face serious consequences. If you are charged with a marijuana crime in the state of Arizona, contact our offices today. When they gonna pass dat law in Florida??? Florida does have an active medical marijuana proposal, but the legislature there has not been cooperative. Nothing is ever easy!